One of the biggest travel trends in recent memory is the use of Airbnb. If you are looking for a reasonably-priced place to stay when you travel, you can find what you are looking for by visiting the Airbnb web site. However, it’s not just a way to save money when you travel. As with just about anything you are trying to sell online, your Airbnb listing matters a great deal. You want to describe your rental in a way that is engaging yet honest. Think about amenities that you can offer so that others will be interested in staying at your place. It’s also important to provide images. People like to see what they’re paying for. One of the great things Airbnb offers is a professional photographer. This is a free service offered by Airbnb, so you might as well take advantage of it. That way, you don’t end up with poor pictures that don’t help your listing. Put together a listing that is attractive and professional, and you will be more likely to have interest in your rental (of course, it also helps to be located somewhere that people actually want to go). If you want to get a little more money out of your listing, you need to offer amenities that people want. Consider amenities you can offer, such as leaving little soaps and shampoos. What about access to Wi-Fi? Do you stock the fridge with food staples before you leave? Do you have interesting publications you can leave out? 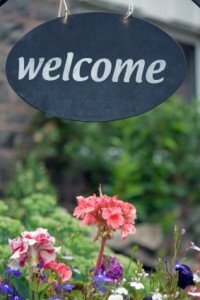 Think about what you can provide that would make a guest feel more comfortable in your home. When you offer amenities and nice touches, you are likely to get better reviews (and more business in the future). When you put up a listing on Airbnb, the assumption is that you will be available and responsive. If someone has questions, you need to get back to him or her as quickly as possible. You can download an app from Airbnb that helps you stay connected and alerts you to interest in your listing. Use these tools to manage your listing better so that you don’t miss out on good guests. Part of making money with Airbnb is protecting yourself. Some of those who list on Airbnb make it a point to never rent to someone who doesn’t have a picture and a fleshed out profile. You can look for renters who have a good history. This makes sense if you want to avoid scammers and bad guests. There’s nothing wrong with passing on someone if you don’t think it will be a good fit. Take photos of bookshelves, cabinets, and other similarly crowded spaces. “This will make it easy to spot if a book or other item is missing,” says Robbins. It’s also important to understand the terms. Find out what can be taken from the security deposit if a guest violates your trust. If you end up with a huge utility bill, or if there is damage done to your home, find out what recourse you have before you let the space. Look at the Airbnb terms, and find out what your own home insurance policy will cover. You don’t want your Airbnb adventure to cost more than you make. Would consider listing your abode on Airbnb? If you have listed, what are your tips? Definitely interesting in Airbnb hosting when we buy a place of our own. It’s been great for us as travellers. I’ve wanted to try it as a traveler for a long time. I might give it a go on my next trip! I have been hosting on Airbnb since August 2014. It has been a great experience, where we have been able to meet people from all over the world. We have had nothing but positive experiences. Our initial thought was that it was a shame to let the guest room stand empty and unused the majority of the year. Especially since we had put out some money to furnish it with quality beds. So why not try to get our invest back? We thought it would take a year to break even, but already after 3 weeks we had all of our initial costs covered. So now all money that comes in through Airbnb is profit. And we have lots of interesting conversations with our guests over the kitchen table. That’s awesome that you’ve had success with it. I know that there are a lot of people who enjoy it. I think it would be interesting to meet new people. We rent out a ‘mother-in-law’s’ apartment in our home on a temporary basis (1 week to 2 months). Because they’re free, we’ve only used Craigslist and a service called Kijiji to advertise, but have thought about Airbnb. But so far we’ve been able to reach our tenancy goals, so doesn’t seem to be a reason to change anything. Though we haven’t had any problems, I think I’ll follow up on a couple of your ‘protect yourself’ suggestions just the same. Great tips, Miranda. We have an apartment in Sofia, Bulgaria and considered resnding it out through Airbnb. Wouldn’t have worked because of the ‘responsive and available’ clause. Thanks for the tips! I have been anxious to try AirBnB as a traveler, and then eventually as a renter (currently we live in a one bedroom apartment so not really an option)… I have heard great things about it! I might use Airbnb to find someplace to stay, but doubt that anyone would want to pay to stay at our house. I like our house, but it is in West San Jose, CA, not exactly a vacation spot. And it is kind of small at 1370 sq. ft. I have read some good reviews about Airbnb. When I tried to visit their website I was having fun reading the different amenities and places listed. I love Airbnb and have been hosting since April 2013! My husband and I have made several new friends by hosting and also use it for travels as well. There is lots of money to be made, even if you don’t feel like you’re in a prime location. Are there universities nearby? Sports stadiums? Nature? Think of things that make your location unique and sell the location as well as the amenities of your home. We live near Yale University and can easily make $1200 a month.